With a cast and crew of more than 70, sit back and prepare to be wowed by amazing Potters Theatre Company performances every night throughout the summer*. 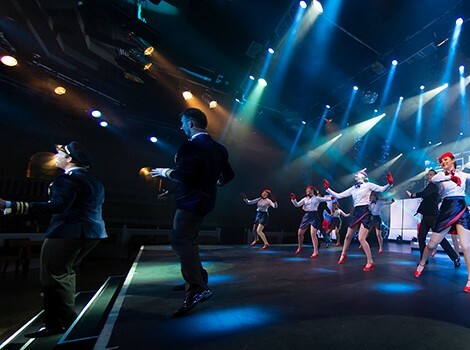 The sheer scale and spectacle of the performances, benefitting from a huge multi-million pound investment in the latest lights, sound and visual technology, enhance and complement the performers to give West End quality entertainment, every night. 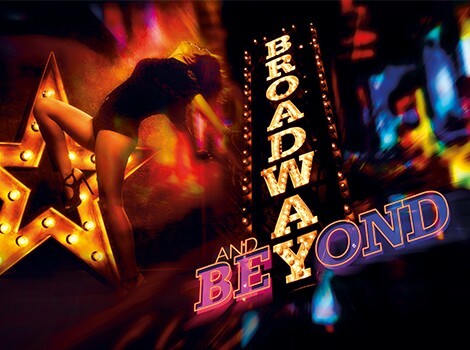 This summer, Potters Theatre Company turn their attention to the glittering world of musical theatre in a brand new show, Broadway & Beyond. 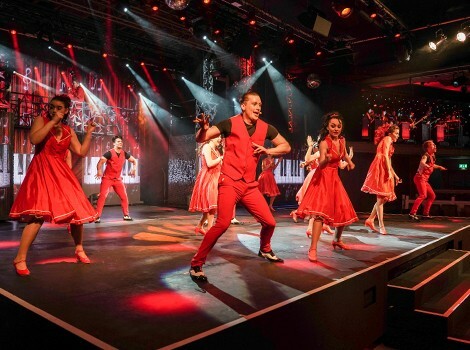 With the continuing popularity of stage musicals on Broadway and in London’s West End, there’s a treasure trove of shows to draw on, whilst also paying tribute to some of the most successful movie musicals of all time. The show will take advantage of the spectacular Atlas Theatre LED wall, so expect a feast for the eyes, as well as the ears. Plus the usual comedy chaos brings the laughs to the already incredible mix of stunning vocals, costumes and choreography. Legends features some of the most unforgettable songs ever written by truly great performers who have earned the right to be called legends. Join us as we turn the spotlight on the greatest music stars of the past 50 years. 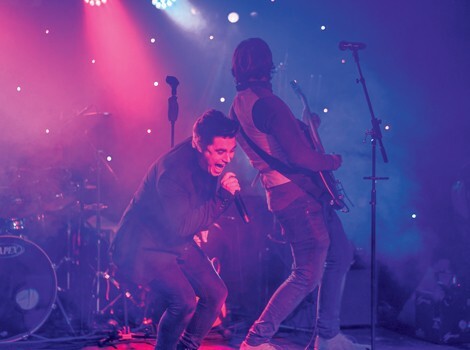 From the golden age of Rock ‘n’ Roll and the soulful sounds of Motown through to the present day and everything in between, this stunning show features tributes to iconic artistes such as Elvis Presley, The Beatles, ABBA, Elton John, Diana Ross, Queen, Whitney Houston and many more. The Comedy Team will also be on hand to create the laughs and even get to perform a parody of Material Girl by Madonna! It’s non-stop entertainment from beginning to end with fun all the way and backed by our incredible 8-piece band. Get ready to fly with Potters Theatre Company in Around the World in 80 Minutes. Without leaving the comfort of your seat, travel from the Latin heat of South America, through to the colourful spice of Bollywood, visiting the Italian opera and drop in on French can-can dancers along the way! Celebrating the best in music, dance and laughter, get ready to visit the Copacabana, Route 66, enjoy some Viva Las Vegas and Arabian Nights, plus head to Barcelona, and see our incredible dancers do the Samba, Austrian Waltz, Tango and Riverdance. Plus, laugh along to the comedy team taking on the Egyptian sand dance – something not to be missed! After the show in our Atlas Theatre, head to the Terrace Bar for Late Night Entertainment (and if you’re still a bit peckish, our Midnight Dish is available every night). The night is still young so enjoy some dancing with live music from Roxy Yarnold, Aaron Bolton and more, or feel free to unwind after the show, ready for tomorrow’s antics! Alternatively, head to VIPs for a disco and some dance anthems! 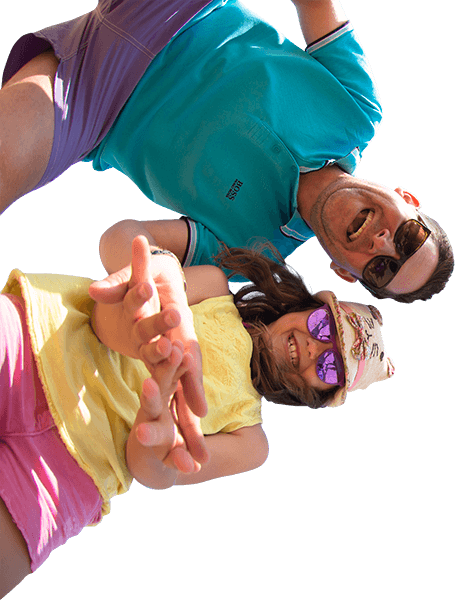 During the day, take a load off and relax on the Family Green enjoying quality live entertainment. 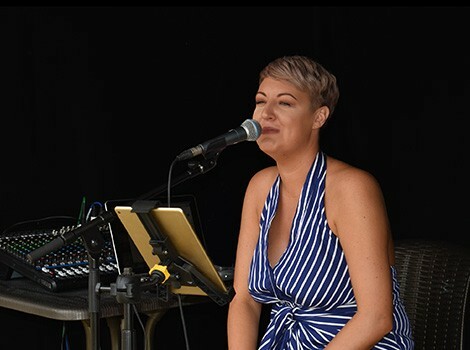 With loved ones close by and a refreshing drink in hand, enjoy all of your favourites hits, new and old, in the summer sun with Michelle Batt, Aaron Bolton, Roxy Yarnold, Stuart Morrison and more. Feel free to make requests or even join in the fun and have a sing. * Friday 19th July One Night Break features entertainment from Björn Again and our 4-Night Midweek Breaks also feature Soul Brothers.